Darren Madrid was throwing down solid runs all afternoon during yesterday's drift practice session at NAPA Speedway. On this particular run he pushed it especially hard and launched his car mid-drift, landed sideways, dropped a tire in to the dirt, and finished the course strong! Keep an eye on Darren and is 240 at this year's No Coast Drift Party. 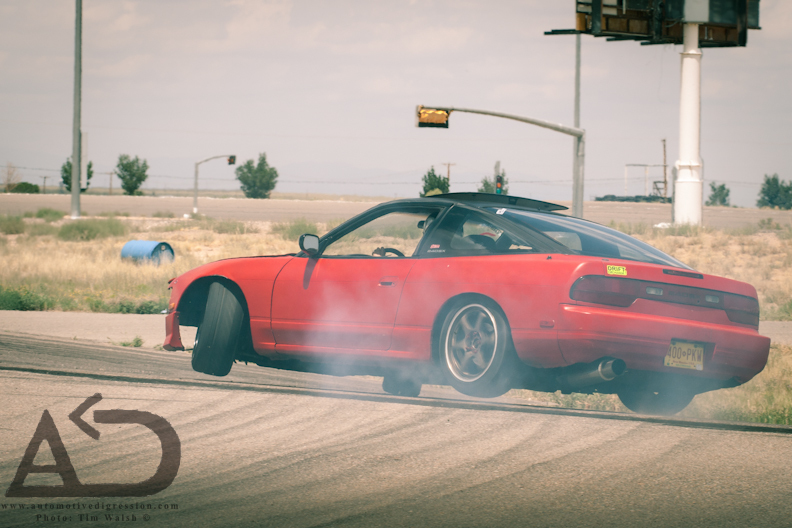 Categories: "240 SX", "Drifting", "Nissan", "S13", "jump"